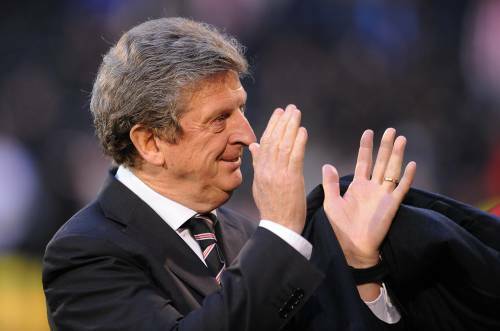 Fulham manager Roy Hodgson has suggested that UEFA should postpone the Europa League final, which will see his side pitted against Atletico Madrid, due to ongoing travel concerns caused by that pesky cloud of volcanic ash that’s currently doing the rounds in the skies above Europe. “If Madwid are also in that situation, UEFA should show some twansigence, wather than the usual intwansigence, and twying to find a solution which helps us both by postponing the game until we both can fly there. I do not think it is quite that simple to say ‘the game is Wednesday, you have to get there’, if Madwid are facing a 20-hour journey and we are facing a 30-hour journey, because I do not think this is what the finals are about – they are a gweat occasion. You would be placing the game with thousands and thousands of English and Spanish fans not able to go, which I would say is another weason for UEFA to weconsider. UPDATE: Atletico Madrid have decided to travel to Germany today in a bid to beat any further disruptions caused by the volcano in Iceland and apparently services between London and Hamburg are running normally again – so you can forget everything I’ve just said.